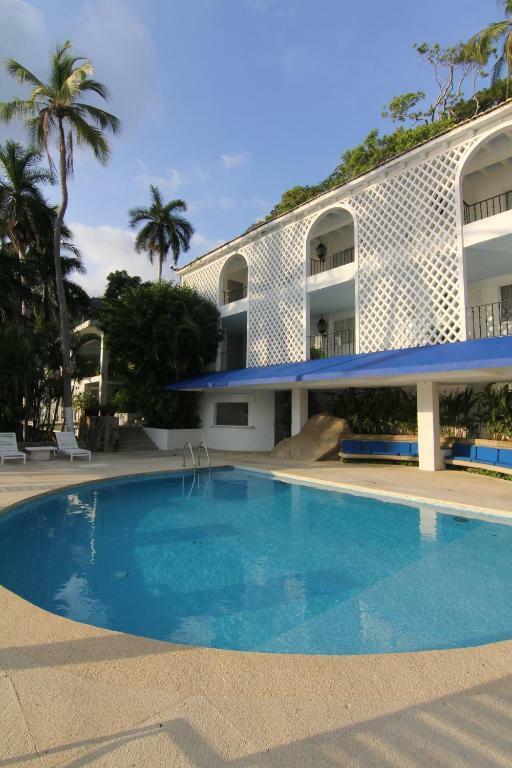 This beach house is located on the coast of Bahia De Puerto Marquez with access to Pichilingue Beach. It provides an outdoor swimming pool and rooms with kitchenettes. The rooms at Casa Aldila are air conditioned and feature cable TV and a patio. The kitchenette includes a refrigerator and microwave. A dining area is also provided. Villa Aldila guests can enjoy room service and the property’s beautiful outdoor garden. The Acapulco International Airport is 25 minutes from Casa Aldila. 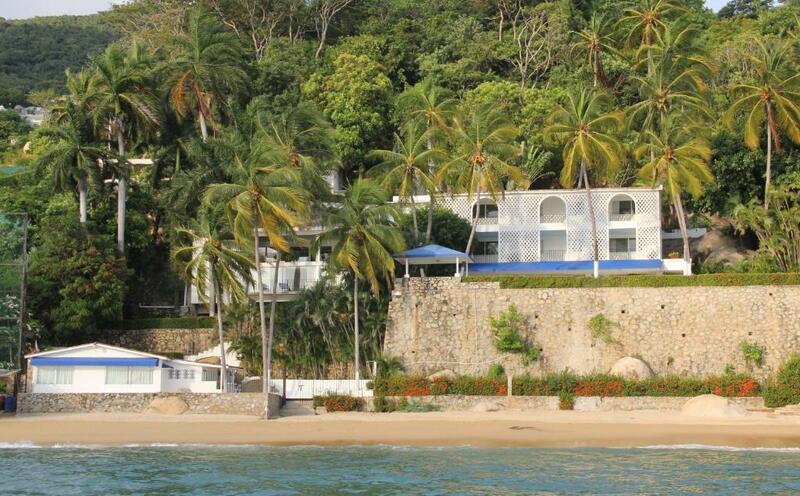 Downtown Acapulco is 15 minutes away from the beach house. When would you like to stay at Casas y Villas Real Estate - Casa Aldila? This villa features seating area, cable TV and a fully equipped kitchen. The bathroom has bath or shower. Casa Aldila, ubicada frente a playa Pichilingue, rodeada de palmeras de coco y una exuberante vegetación tropical que harán de su estancia un momento único. Ubicada dentro del exclusivo Fraccionamiento Pichilingue Diamante donde usted podrá encontrar el ambiente más tranquilo y seguro, en casa Aldila contará con acceso directo a la playa, donde podrá disfrutar de los mejores deportes acuáticos, así como de relajantes caminatas al atardecer. House Rules Casas y Villas Real Estate - Casa Aldila takes special requests – add in the next step! Free! Up to three older children or adults stay free of charge when using existing beds. Maximum capacity of total guests in a room is 14. Please inform Casas y Villas Real Estate - Casa Aldila of your expected arrival time in advance. You can use the Special Requests box when booking, or contact the property directly using the contact details in your confirmation. We need at least 5 reviews before we can calculate a review score. If you book and review your stay, you can help Casas y Villas Real Estate - Casa Aldila meet this goal.